a tree becomes a danger to people or property. Other times, trees may be healthy, but a renovation or other construction project needs them to be removed. And even though your trees look nice, they may pose a hazard to human-made structures, putting your home and family in harm’s way. If the tree is growing too close to power lines, or the root system may begin to damage your home’s foundation or underground utilities. Most commonly, however, it is because the tree is showing signs of disease or is dying of natural causes. Many symptoms of tree diseases and invasive pests are evident, but only when the tree is too far gone to save. This is especially true when the problem area is beneath the bark or underground where the roots are. It isn’t until the tree begins to wither and fall that homeowners recognize that there is a problem. There are many signs that your tree could be sick or dying. It’s our experience that most homeowners know their trees better than anyone, especially if they remain active in cultivating their yard. If you see any of the signs mentioned above, or if your tree appears to simply not “look quite right,” it’s best to err on the safe side and have us inspect it for problems. Taking a wait and see approach could allow the disease to spread to other trees or even compromise the structural integrity of the tree. Trees are often no less fragile than smaller plants, and if they have a condition that needs professional treatment, they probably won’t recover on their own. Before long, the only option is to cut them down and remove them. Spring Hill Tree Specialists pride ourselves on developing long-lasting relationships with our customers. We are always upfront and educate you on the pros and cons of tree removal. We strive always to do what’s best for your trees. As a property owner you are too well aware of all the responsibilities that come with home ownership. The trees on your property add to the value of your home, but can also be a hazard to your home. If a tree branch is hanging over your house or your pool cage, it needs to come down before it becomes an even bigger problem than it is. 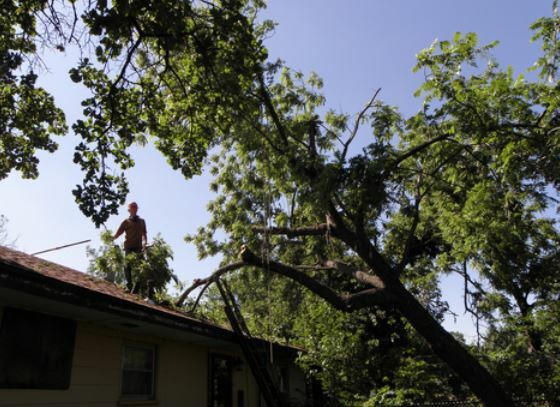 Whatever the reason may be, Spring Hill Tree Specialists can help by safely removing the tree branches, or if need be removing the entire tree. Our highly knowledgeable tree care professionals can safely remove tree branches that are hanging over your fence, your pool cage or your roof. What ever the reason, when you need tree removal services we are ready to help you. 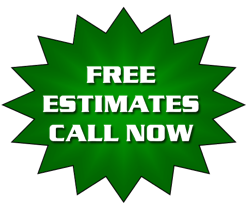 Our experienced tree cutting experts have the expertise and ability to safely remove your tree. Our qualified tree cutting crews will assess the overall health of the tree in question, and advise you on what needs to be removed for the health of the tree. If we determine that the tree needs to be removed, we will discuss the situation with you before proceeding. Our Tree Cutting crew will climb up into the tree with a safety harness and tie into the tree. Then they can begin to cut away the limbs that need to be removed, starting at the top of the tree and moving downward, dropping the cut branches down in to a safe zone along the ground. Whether we are cutting a few branches or felling the entire tree, safety is our number one concern as we work our way down the tree section by section. ​When you are ready to get a quote for tree cutting and removal, call Spring Hill Tree Specialists now at 352-340-2324, or submit our hassle-free online form to request more information. Our tree removal experts are here to help with all of your tree servicing needs!